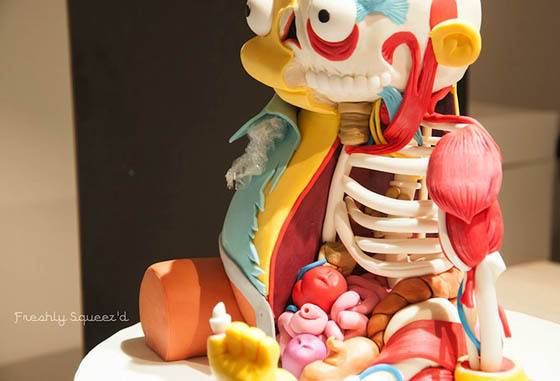 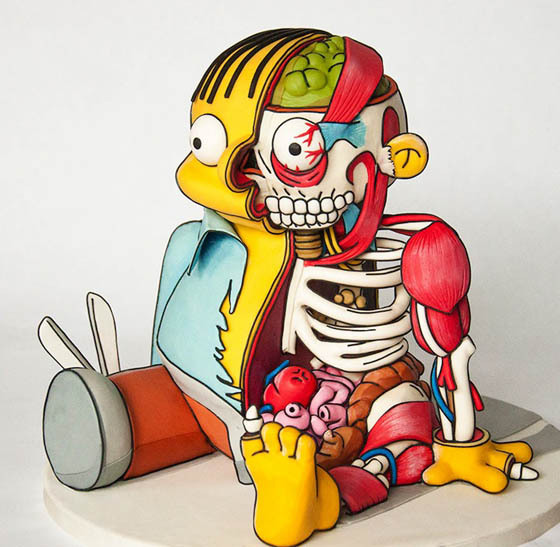 Canada-based cake designer Kylie Mangles created this unusual cake sculpture of Ralph Wiggum from The Simpsons which looks more like illustration instead of edible cake. 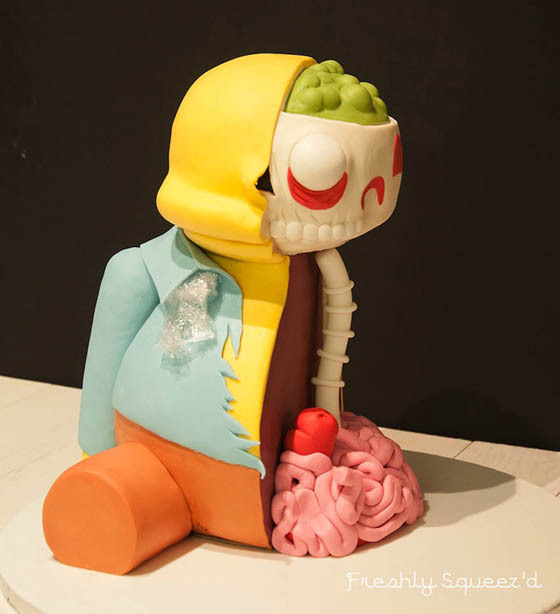 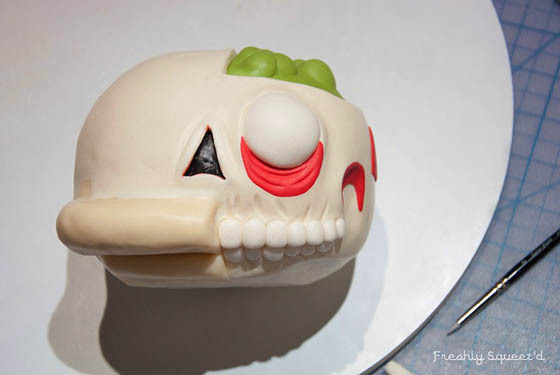 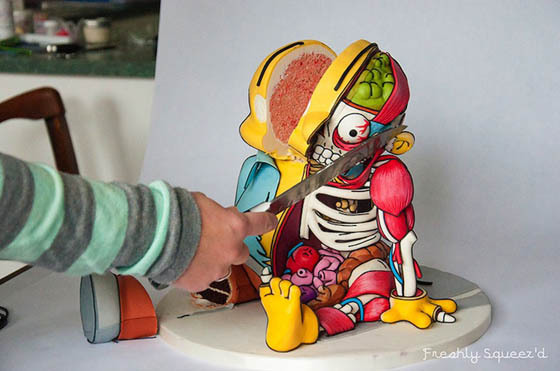 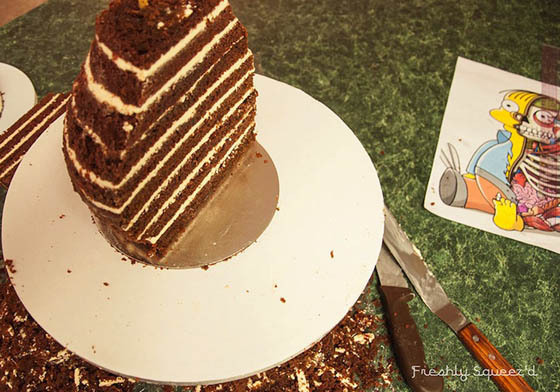 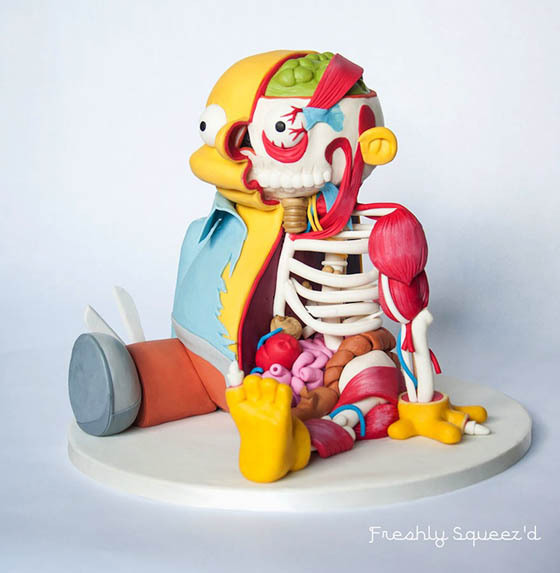 The cake is made based on the image created by Erick Flores called Cutout Ralph who has half likeness and half dissected body of Ralph Wiggum. 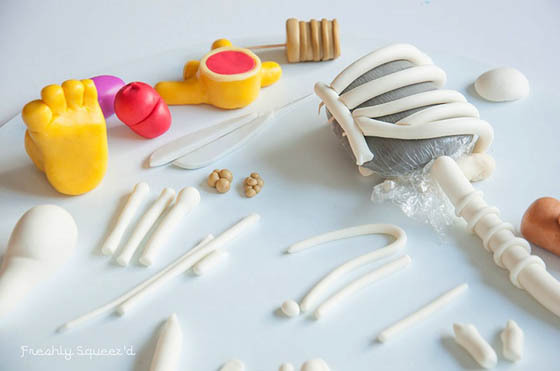 Mangles began modeling the bones a few weeks in advance, but the majority of the piece took five days to sculpt and assemble. 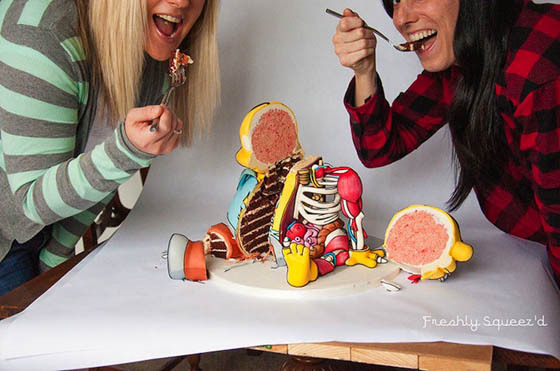 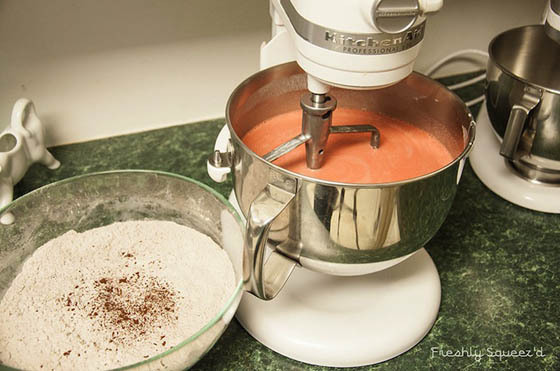 Even though there are many inedible support elements inside of the cake, Mangles confirmed that little Ralph was indeed delicious after she cut him and shared with here roommate. 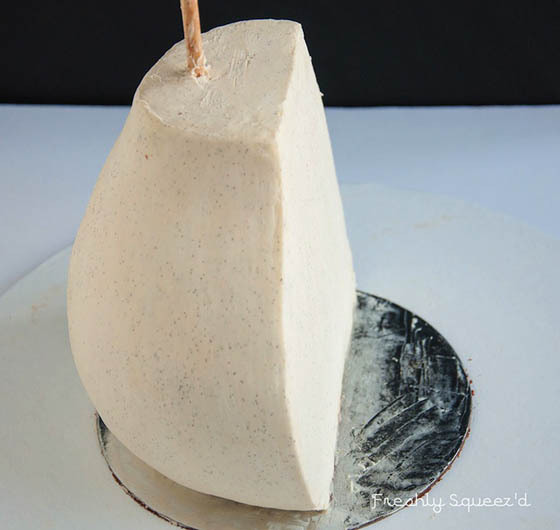 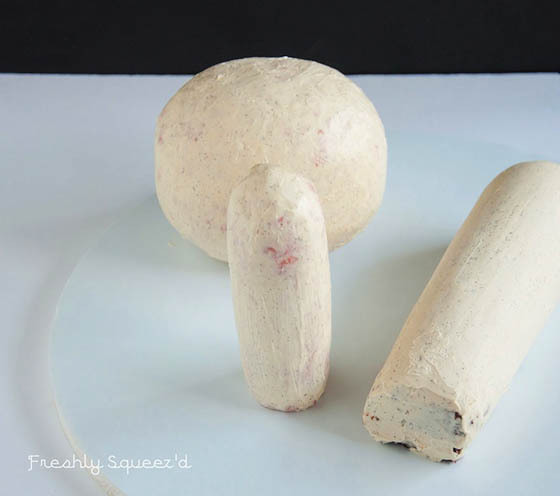 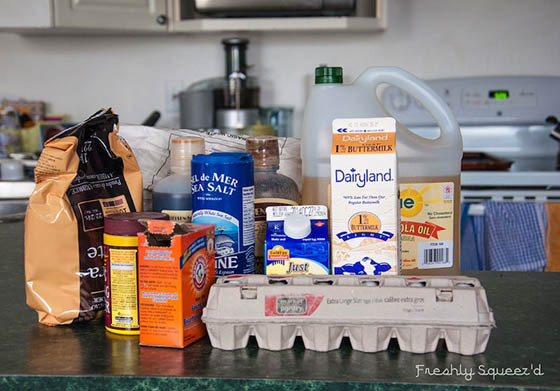 This cake has been submitted to a competition on threadcakes.com where you can find here step by step process of cake making.